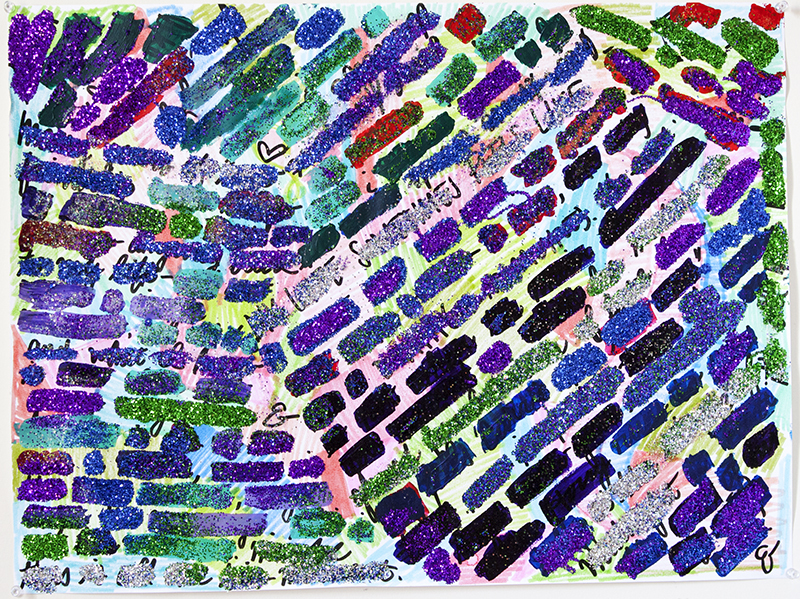 24" x 18", glitter, acrylic paint, marker, and rhinestones on paper, 2015. 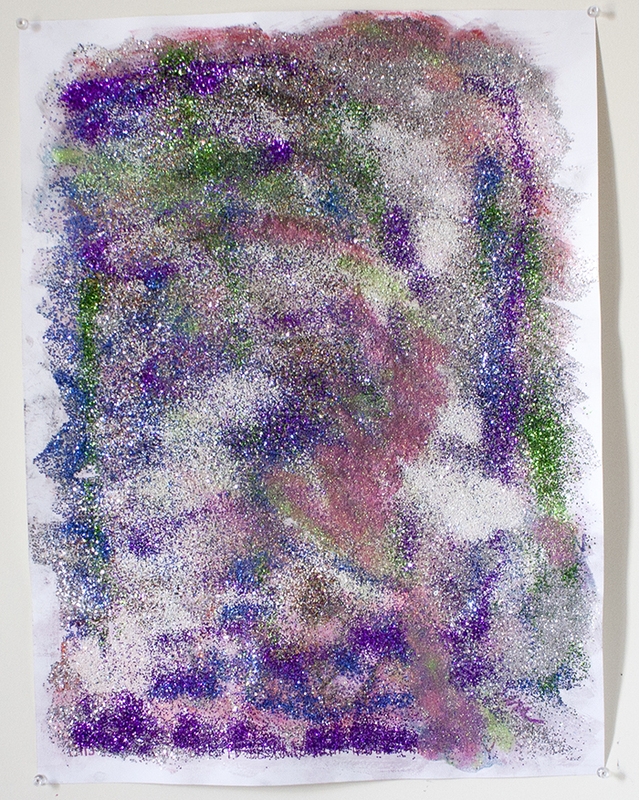 18"x24", chalk pastel, oil pastel, crayon, colored pencil, and glitter on paper, 2015. 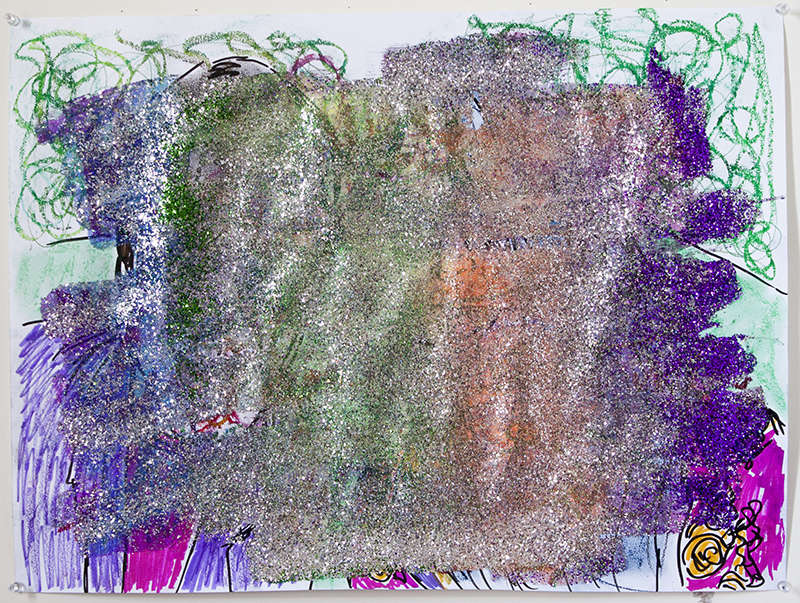 18" x 24", marker, chalk pastel, oil pastel, colored pencil, crayon, and glitter on paper, 2015.